How do I search for an item on web? 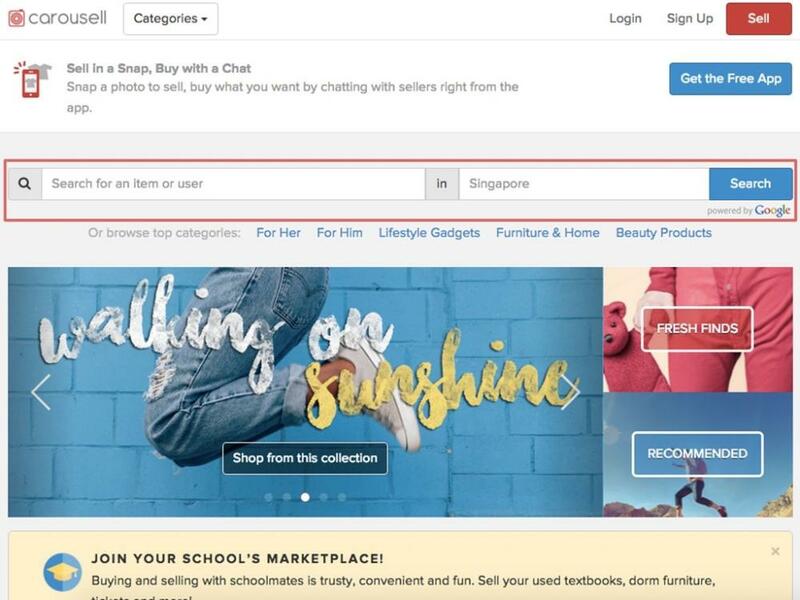 The search experience on Carousell is no different from any other search engine. All you have to do is input a keyword into the search field and click on search. If no results appear, you may want to try more general terms or use another keyword to search. For example, if “purple chiffon dress with prints” does not show any results that you may be interested in, try searching for “purple dress” or “chiffon dress”. If you are searching for a specific brand, you can also include that in your search phrase/ keyword. You can also search for items that are listed for sale on Carousell near you. Simply input your location in the search bar and do a search! Your browser may request for permission to use your location, do allow it to allow for higher search accuracy. You would be able to filter the searches by location, popularity, price, most recent and also by the category they are listed in. 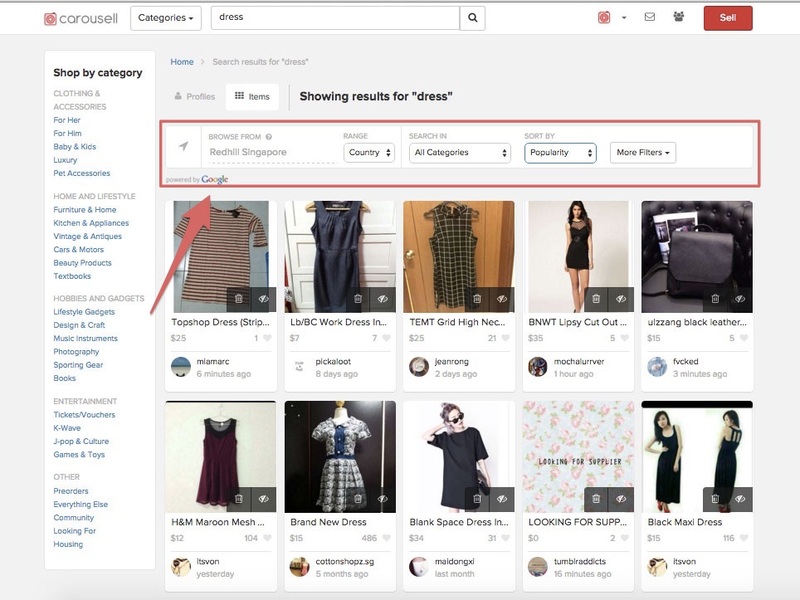 Do try out the filters to refine the search results to find the item you are interested in. Link: How do I buy an item?